If you experience achy, stiff joints, your diet may play a role in the pain that you feel. Some common foods that may be in your diet right now are known to cause inflammation, making joint pain and stiffness worse. But there are other foods that can actually combat inflammation. 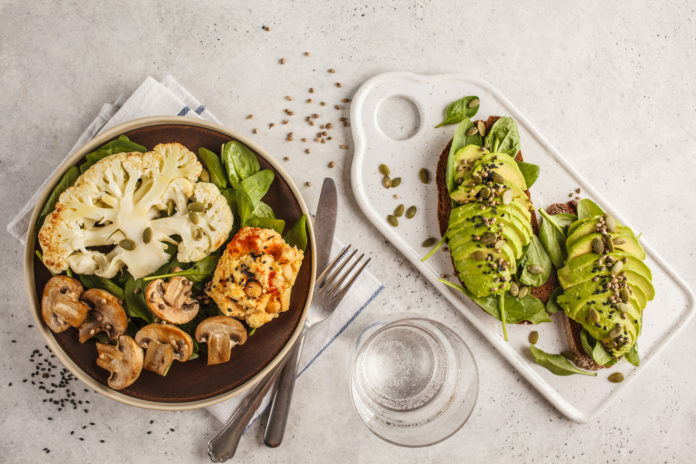 It’s not just a food trend: plant-based foods for better joints can help to relieve pain and even improve your joint function. Ready to get started? Let’s look at which foods to shop for and which foods to avoid. By restructuring your diet and adding more whole food, nutrient dense options, you can enjoy multiple health benefits. What you eat can have a direct correlation on your joint health. If you have conditions such as arthritis, rheumatoid arthritis, osteoarthritis or fibromyalgia, then you experience more pain when your joints are inflamed. Some foods are known to increase inflammation because of the amounts or types of fats that they contain. In addition to removing inflammation-causing foods from your diet, it may be a good idea to undergo allergy testing. If you test positive for food allergies, then an elimination diet can help you to identify any foods that are prompting inflammation in your body. 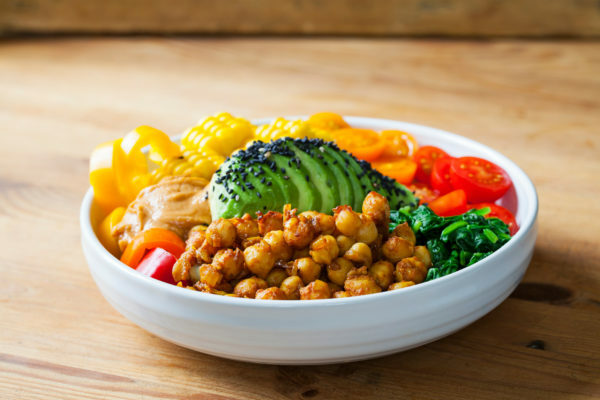 A plant-based diet has been proven to reduce inflammation in the body. Certain plant-based foods have lower amounts of fats. Many have optimal ratios of omega-6 to omega-3 fats. These healthy fats are beneficial for your body and don’t contribute to inflammation. As an added bonus, plant-based diets often promote weight loss. Because you’re not eating meat or other animal-based foods, you don’t need to worry so much about portion control. These diet changes may result in weight loss on their own. The added good news is that plant foods can lead to feeling less pain and you feeling more inspired to be active. That is likely to lead to further weight loss. For arthritis patients this is especially good news: having less weight on irritated joints helps to relieve pain and contributes to overall joint health. Other benefits to eating a plant-based diet? People who eat a plant-based diet often have lower blood pressure and cholesterol levels. They are also at less risk of some of the most fatal diseases in the United States, including heart disease, cancer, type 2 diabetes and obesity. If you want to maximize your joint health through your diet, consider these plant-based foods. 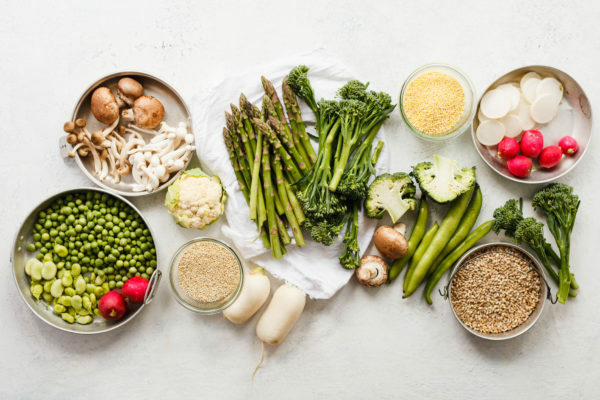 Cooked vegetables: Green, yellow, and orange vegetables like spinach, string beans, sweet potatoes, broccoli, chard and asparagus are considered pain-safe foods. Fruits: Cherries, pears, strawberries, prunes, and cranberries all offer anti-inflammatory benefits. They can be consumed either cooked or dried. Extra virgin olive oil: Extra virgin olive oil contains a number of compounds that act as anti-inflammatories. One compound, oleocanthal, has anti-inflammatory properties that are similar to ibuprofen. Brown rice: Not only is brown rice gluten-free, but it can be used as a non-inflammatory substitute for white rice in many different recipes. Turmeric: Turmeric originates from a plant grown in India and Indonesia and contains a chemical called curcumin. Turmeric and curcumin have anti-inflammatory properties. You can add turmeric to foods, or take it in capsules as a supplement. Black pepper increases the effectiveness of turmeric, so try to pair the two together in dishes. Garlic: Not only does garlic add plenty of flavor to any dish, but it can also fight inflammation. Garlic contains diallyl disulfide, a compound that fights inflammation and reduces your pain, in turn. Fresh garlic is best, since preservatives in bottled garlic may reduce its potency. Ginger: Ginger contains chemicals called gingerol and shogaol that block inflammation pathways in your body, reducing inflammation. It’s best to use fresh ginger. You can even boil ginger root in tea for an inflammation-fighting drink. It’s easy to see the many benefits of opting for a diet rich in the top plant-based foods for better joints. You may decide to simply cut back on foods that aggravate inflammation while increasing your intake of the above plant-based foods. In some cases, though, you might decide to go vegan or vegetarian. Or even try a gluten free vegan diet. Talk to your doctor about individualized B12 and other vitamin and mineral recommendations based on your diet and your health history.